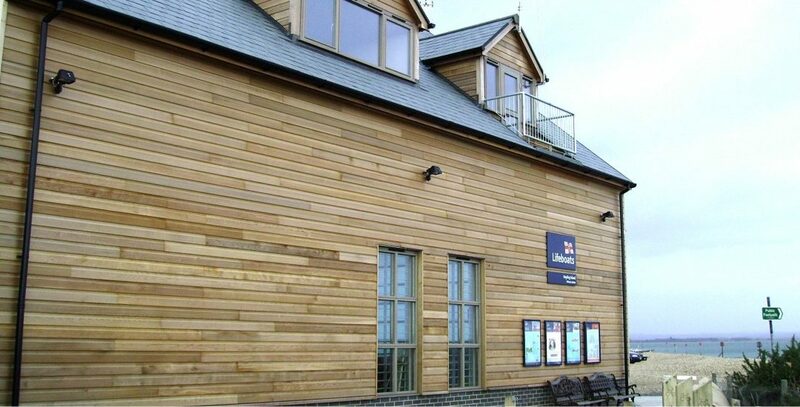 The existing station, on the east coast of Hayling Island and in an SSSI, was substantially extended with the new cedar-clad Boat House. The Station’s D Class and an Atlantic 85 lifeboats, which are launched via tractor and trailer, can now remain hitched at all times to expedite the response. A new larger Changing Room, Store and RNLI Information Point to the beach elevation have been provided. A Crew Room is situated at first floor alongside a high-tech Training Room. A shannon-class lifeboat station on behalf of the RNLI at Selsey in West Sussex.